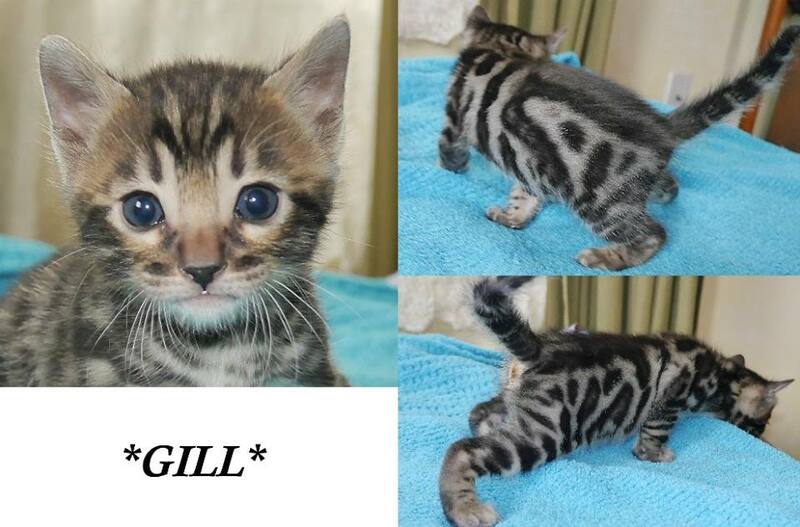 Gill has a very fascinating pattern. 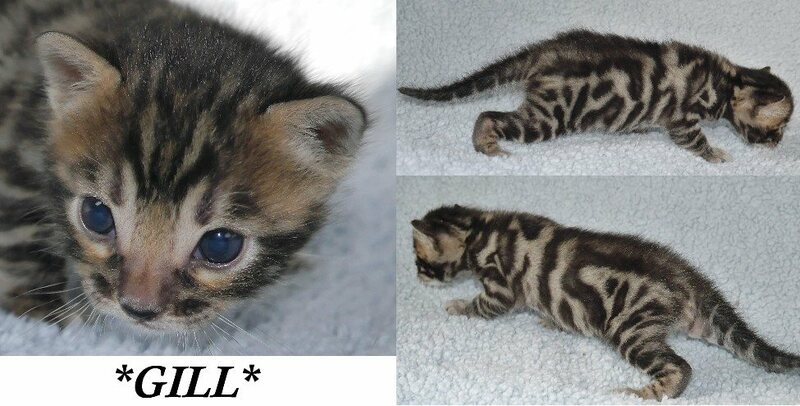 I have never seen a Bengal with a pattern quite like his! It’s starting to rosette and we should see some of the warmer tones come into his background color as he matures. 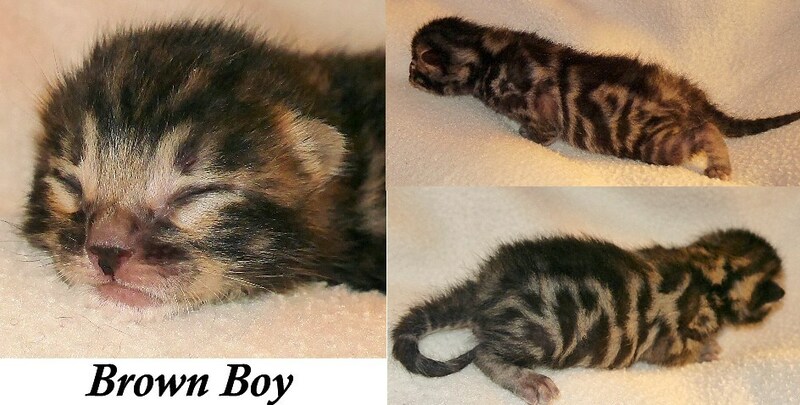 We can’t wait to watch him grow and develop over the weeks to come. His face is very colorful with nice white eye goggles. 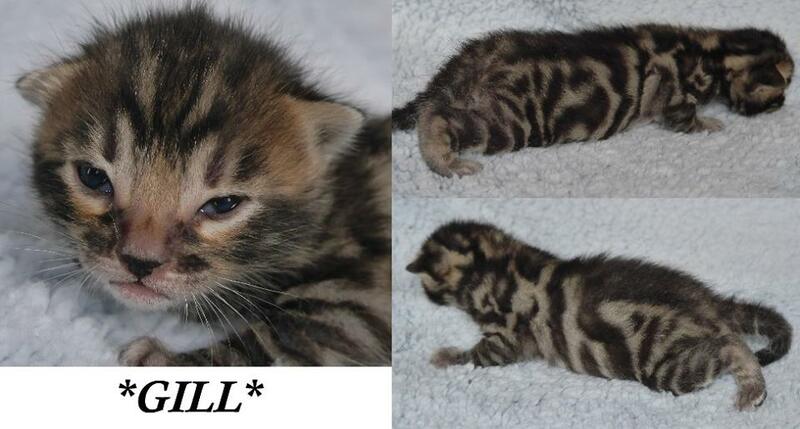 Gill loves to wrestle already and is already becoming the little adventurer.